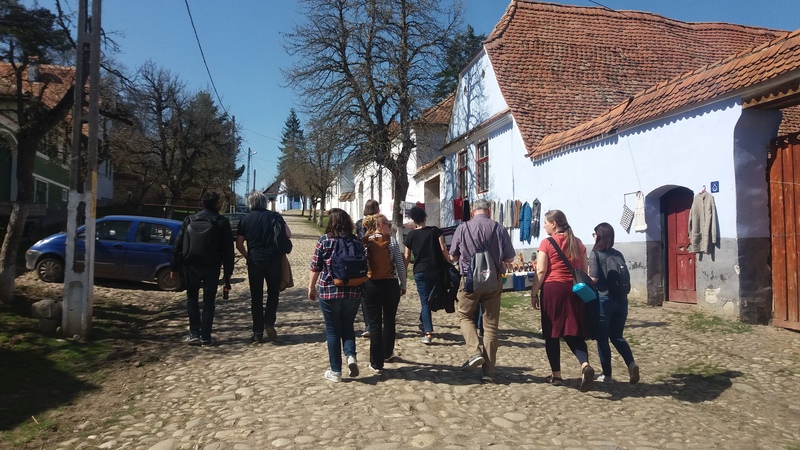 On sixth of April the class of the master’s degree “Strategies for European Cultural Heritage” of the European University Viadrina traveled to Romania to get to know the world of fortified churches and to enjoy the wonderful landscape in the most beautiful springtime weather. 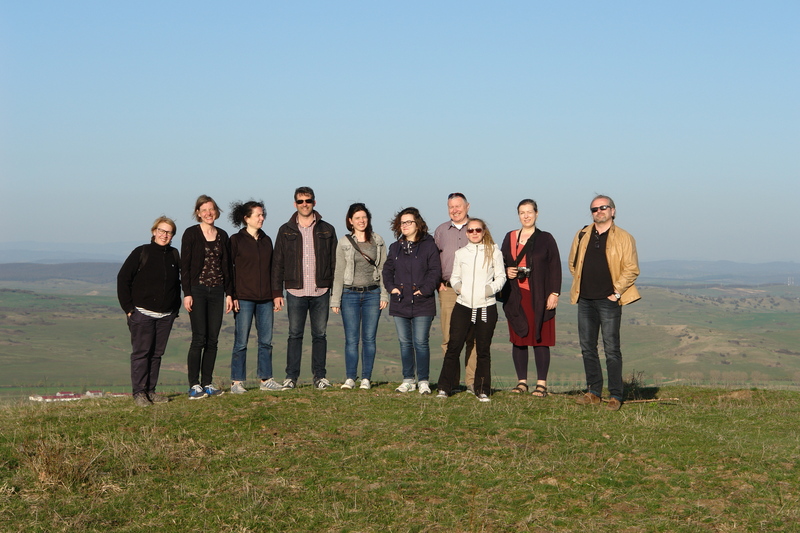 The Professional-Tourism-Journey was organized and accompanied by the Fortified Churches Foundation. For the eight students who participated it was the first time in Transylvania– none of them had visited this lovely and thematically attractive region of Europe before. Only the two professors who again accompanied the group this year already know the region very well: both, Prof. Dr. Paul Zalewski (owner of professorship) and Hon.-Prof. Dr. Thorsten Albrecht (Cultural Office of the Evangelical-Lutheran Church of Hanover), come to Transylvania on a regular basis – and are real experts of fortified churches and their specifics. 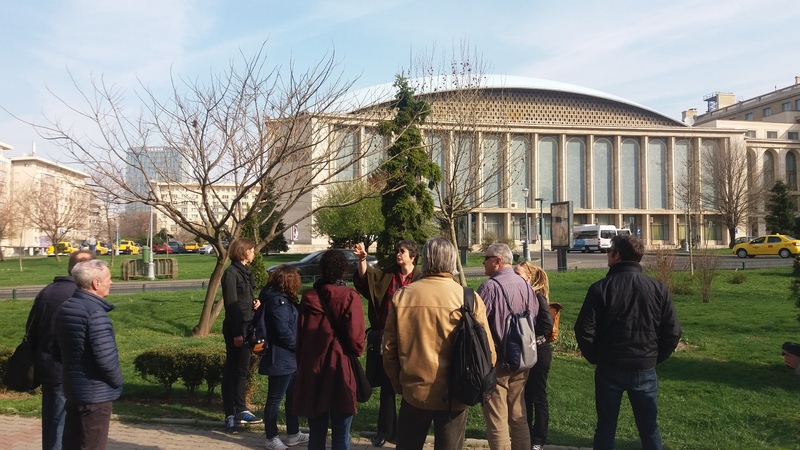 After a one-day stay in Bucharest with many impressions thanks to an excellent and very professional guided tour in the town-center with Mrs. Prof. Dr. Arch.Hanna Derer, the group crossed the Carpathian Mountains. In the following days, the churches and fortified churches of Brașov, Hărman, Codlea, Vulcan, Homorod, Viscri, Sighișoara, Apold, Cincu, Cârța (the monastery ruin), Cisnădioara (the mountain church), Apoș, Pelișor, Șmig and Mediaș were visited. Apart from the buildings, many details of the prevailing furnishings were explained – impressions concerning the state of repair and the future chances of use were expressed and afterwards discussed. 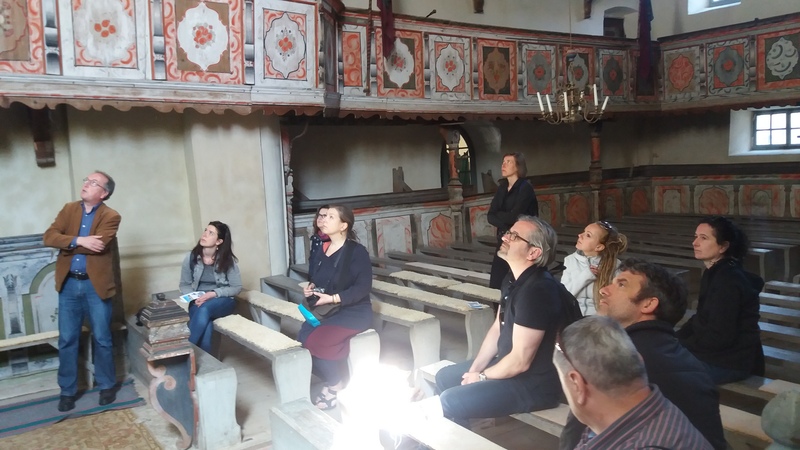 The group, which was composed of restorers, art historians, cultural scientists and architects, formed a multi-disciplinary team that used the time alongside the actual visits to exchange and develop ideas together. The studies at the University of Viadrina are extra-occupational. Because of this, the strategies of safeguarding, of conservation and the further plans, which were worked out by the students, were very practical and realistic – a great combination. The diversity of the cultural monuments visited gave the students a large overview of the overall situation that pointed out the specific challenges and possibilities of the region. 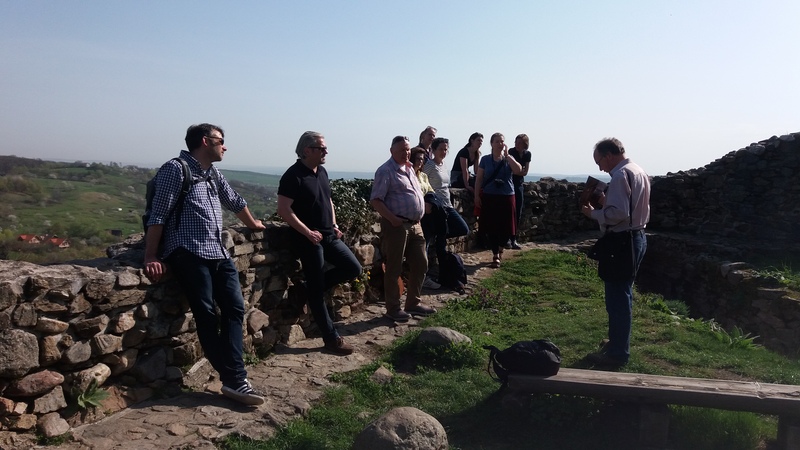 Besides visiting the fortified churches, the program offered many highlights from a culinary, scenic and personal perspective: goulash of lamb and journey-tales with the protestant pastor Uwe Seidner in Vulcan, blossoming fruit trees on the roadside, the high-praised wild garlic soup and the conversation about organic farming with Willy and Lavinia Schuster in Moșna, drone-flights in Homorod, a fantastic view over the mountain rage of the Transylvanian Alps, happy horses and a motivated team at Villa Abbatis Equestrian Center in Apoș, communicative castle keepers, campfires, excellent house wine and home-produced schnapps, bright sunshine, professional tour guides, carriage rides through the charming countryside in the surroundings of Viscri, delightful picnics and clear starry skies with shooting stars. It was an eventful and impressive week and for many of the participants it was surely not the last visit to Transylvania.